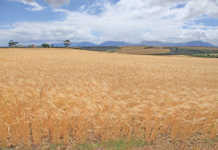 As struggling farmers, Vito Rugani and Vincent Sequeira had the courage to jettison many of the attitudes that bedevil SA farming. Today, Greenway Farms is the continent’s largest producer of carrots. Lindi van Rooyen visited the farm. Greenway Farms markets 1 000t carrots a week. In the mid-1990s, farmers Vito Rugani and Vincent Sequeira were working 18 hours a day with relatively little to show for their efforts. Clearly, something was wrong. “We were stuck in a typical emerging farmer dilemma,” recalls Vito. 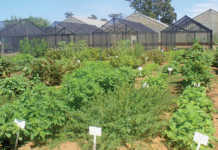 “We were planting 25 different lines of vegetables and doing everything by hand. We hadn’t found our niche. We had no capital, paid low wages and worked like hell,” recalls Vito. Vito and Vincent soon saw that, compared with their peers Down Under, South African farmers had very different attitudes towards ‘cheap’ labour and were suspicious of mechanisation and specialisation. 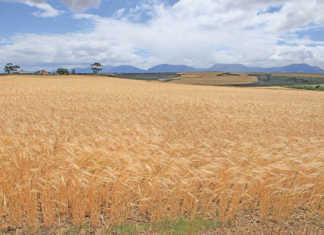 “We believed in the myth of cheap labour and that the more crops you planted, the more you spread your risk. Within two weeks, we saw how wrong our thinking had been and we made a serious paradigm shift,” explains Vito. On their return, they sold 40% of the farm to a silent partner, and reinvested every cent in mechanisation and specialisation. “In 20 years, we’ve gone from 20ha under irrigation to 2 200ha in two provinces, so there must be some merit to our model,” says Vito. Greenway Farms now comprises 1 600ha in Tarlton and 600ha in the Waterberg, which are in production eight months and four months of the year respectively. This ensures year-round production of consistent quality. 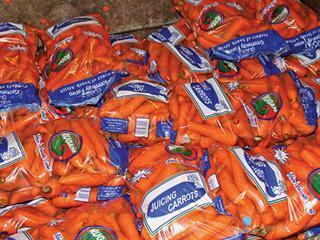 Greenway Farms produces 40% of Southern Africa’s carrots, and is today the continent’s largest carrot grower. Vito attributes much of their success to getting the best out of their 200 employees, and introducing structures that push responsibility down through the ranks. “Motivating people to get them to do more than they ever thought they could is very rewarding,” he says. Vivo has also focused strongly on encouraging staff to embrace mechanisation. “Mechanisation isn’t only about buying a machine. It’s about ‘grafting’ the machine into the business. This embraces issues such as mechanical literacy and the promotion of a positive attitude toward this new arrival in the team. One’s labour force must see mechanisation in a positive light, because productivity determines wage levels, and machines are there to enhance productivity, not retrench people,” says Vito. He bemoans the fact that many farmers threaten their workers with mechanisation, instilling an aversion to machinery and unleashing a “fear dance” between worker and owner. Greenway Farms markets all of its carrots under the Rugani brand name. Vito and Vincent say that they believe in the ‘spot market’, where the price is free to find its natural level determined by supply and demand. “It’s one of the pillars of our success,” explains Vito. “We’ve never sold on a futures market. Greenway Farms does its own marketing. 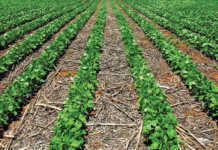 The partners believe that farmers should drive the marketing of their brand as far as they can down the supply chain. Phone Vito Rugani on 082 820 0301 or visit www.ruganicarrots.co.za. This is an abbreviated version of an article in Farmer’s Weekly 31 January.